Celebrating the rich tradition and heritage of Irish brewing, the Great Irish Beer Festival will highlight the diversity of modern 21st Century Irish brewing, including a chef and full kitchen at City Hall over the weekend, pairing great culinary dishes with each brewery. The festival will also feature some of the best that Cork music has to offer, with sets from The Frank & Walters, Crow Black Chicken, Slow Motion Heroes, MKAI, Hope is Noise and Waterford festival favourites, King Kong Company. Since it was established in 1998, The Franciscan Well has run over 30 festivals. 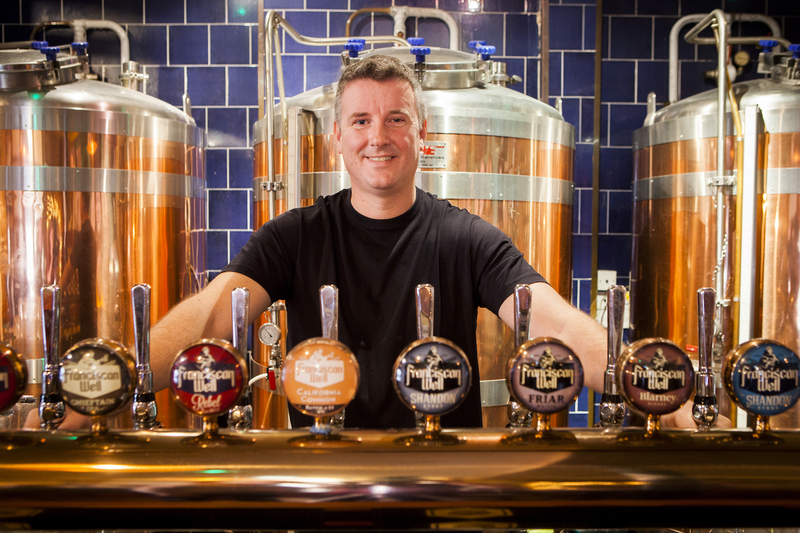 To date it has received 29 international awards in the last three years, including best seasonal Pale Ale in the World Beer Awards, Gold for Jameson Stout & Rebel Red Ale and has expanded and taken over a 50,000 sq ft warehouse in Cork’s Marina Park, employing 14 people on the site. The Franciscan Well is currently selling beer in ten markets, with ten added this year and twenty more on the way in 2017. They have just completed production on a TV advert which will be aired across the USA, featuring The Franciscan Well, Jameson Distillery and Cork. That is commitment to Cork and a great Cork success story. Advance tickets priced from €11 up to €22.50 for a three day weekend ticket are available online at www.greatirishbeerfestival.ie or Tickets.ie and through Centra, SuperValu & Elverys retail outlets. As an added incentive the first 500 advance ticket purchasers will receive a Complimentary Drink at the Festival. This is an over 18’s event and ticketholders may be required to show ID (driver’s licence, Garda ID or passport only).